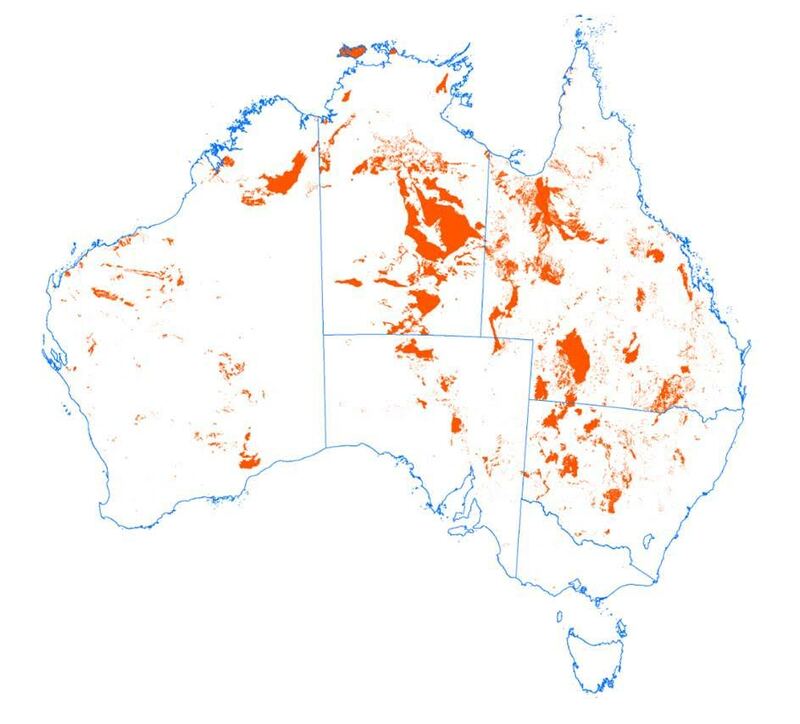 Australia’s unprotected ecosystems (some are too small in area to show up on the map at this scale). 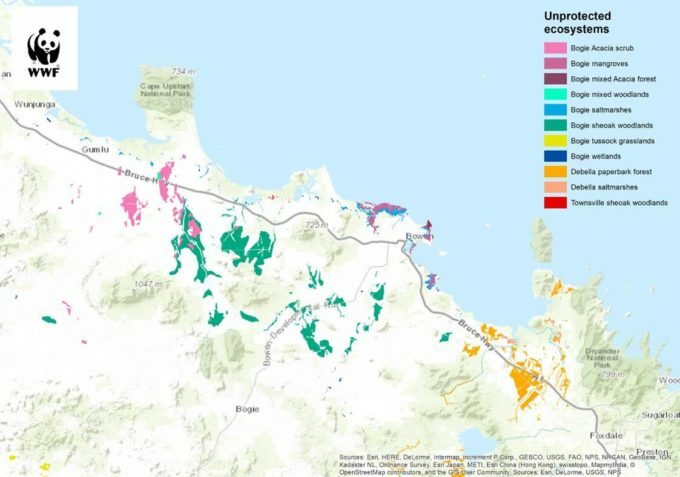 MORE than a quarter – 27 per cent – of Australia’s unique ecosystems are not represented in any of the nation’s protected areas, WWF Australia reports. There are also 121 species of national significance which have no habitat secured in national parks or reserves. They’re the key findings in the Building Nature’s Safety Net 2016 report, prepared by WWF-Australia. “We must secure protection for these overlooked ecosystems and species before it is too late,” WWF-Australia conservation scientist Dr Martin Taylor, who wrote the report, said. Australia has 6249 unique ecosystems and of these 1,691 have no representation in protected areas. Many more ecosystems have only small sections secured in national parks – the Federal Government has said protection of 15% of the pre-1750 distribution of each forest ecosystem is desirable. Dr Taylor has estimated that an additional 53 million hectares of land must be safe guarded to meet the minimum level of protection for Australia’s unique ecosystems. Endangered animals and plants of national significance with no protected habitat include the Tiwi Islands Masked Owl, the Carpentarian Rock-rat, Queensland’s Retro Slider skink, Western Australia’s Cape Spider-orchid and Kundip Wattle. Previously, the National Reserve System grants program sought to protect unique ecosystems but it was terminated in 2012-13. “This program should be restored and given funding of $170 million a year to secure new national parks as well as protected area agreements on Indigenous and private lands,” Dr Taylor said. In 2010, at a meeting of the UN’s Convention on Biological Diversity in Japan’s Aichi Prefecture, Australia committed to what’s known as Aichi Target 11. It calls for nations to have at least 17 per cent of their land and 10 per cent of their marine areas conserved in ‘ecologically representative’, protected areas by 2020. In 2014, the Federal Government claimed to have achieved the Aichi target, but Dr Taylor is challenging that assertion. “With 27% of our unique ecosystems unprotected, Australia’s parks are not ecologically representative. We have a long way to go to meet the Aichi target by 2020,” Dr Taylor said. Dr Taylor said the Bowen region provided a good snap shot of Australia’s shortfall with eleven separate ecosystems lacking protection.